The founders of Happy Melly believe everyone should feel satisfied at work. "We spend more waking hours at our jobs than with our family and friends," says Digital Marketing Manager Jennifer Riggins. "It's unacceptable that the happiness of workers isn't a priority." Can you tell us the story behind Happy Melly? One of the Happy Melly co-founders Jurgen Appelo is from the Dutch city of Rotterdam, where multimedia artist Ken Lum put up the portrait of - for lack of a better word - a bored word processor alongside the words "Melly Shum hates her job." In 2013, a group of internationally-minded business coaches who in their combined experience had worked with thousands of frustrated workers got together to create a network of businesses dedicated to making Melly and the rest genuinely happy at work. Who should become a member of Happy Melly? What are the benefits? 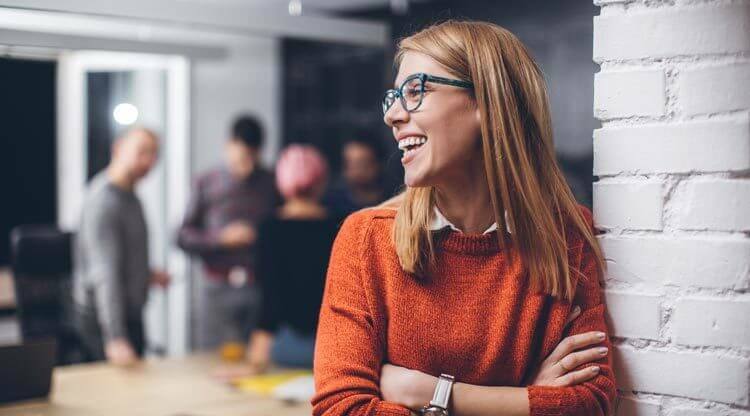 Becoming a Happy Melly supporter is a very small financial commitment because we want anyone who wants to be a part of this experiment in being happy at work to join. There are perks, like obvious bragging rights as well as a bunch of discounts, but it's really about joining this private network committed to this important cause. What do you think are the biggest culprits for people being unhappy in their jobs? Recognition is essential, whether it's from your peers, your boss, your team, or your friends and family. When people don't feel valued financially, professionally or emotionally, they become dejected and demotivated. What advice do you find yourself repeating to members over and over again? Are you still unhappy at your job? You've got to make an action plan to make a move. Take courses, work on your LinkedIn, network at local community events like MeetUps and talk to people who are happy at work - then start moving. We all get complacent when we at least have steady paychecks. Scheduling yourself with smaller tasks gets you to commit to your bigger goal. Launching a business is exciting, but also overwhelming and exhausting. What are some ways time-crunched, exhausted entrepreneurs can stay connected with their sense of purpose and fulfillment at work? The easiest way to keep a pulse on your employee engagement is actually to schedule time regularly to spend with your employees and ask them a lot of open-ended questions. And if you are time-crunched and exhausted as a CEO and not spending a percentage of your time dedicated to making your workers happier, your priorities are skewed and should outsource other stuff. To paraphrase management god Jack Welch, the director of human resources should be just as important as the CFO. Setting up HRM practices based on your company's core values from the start will save you a lot of time in the future. What do you think business owners and/or managers should be doing to foster a positive, fulfilling work environment? Ask your teammates for suggestions to learn what would really intrinsically motivate them. A quick trick would be to have a happiness door to get a quick visual representation of what they like or don't like, and kudo cards are a great way to encourage peer-to-peer recognition and celebration of gratitude and good work. What do you think are the biggest killers of motivation for employees? A know-it-all boss. They simply never listen and are actually rather rude. They also tend to be the bosses who are on their phones all the time. What are some of your favorite resources (websites, books, publications) for small business owners to find motivation, inspiration and advice? I love the blogs from Bonusly, Geektime, Score.org, and of course Happy Melly's own! Susan Jennings blogs about a variety of topics including personal finance, small business and travel.